Gout is a condition that affects the joints. It’s a painful form of arthritis caused by excess uric acid in the body. Excess uric acid is caused by decreased elimination or increased production. Eating foods rich in purines, which help form uric acid, causes the body to produce too much uric acid and should be avoided. Foods that contain large amounts of purines include animal meat, which might make it difficult to consume an adequate amount of protein. 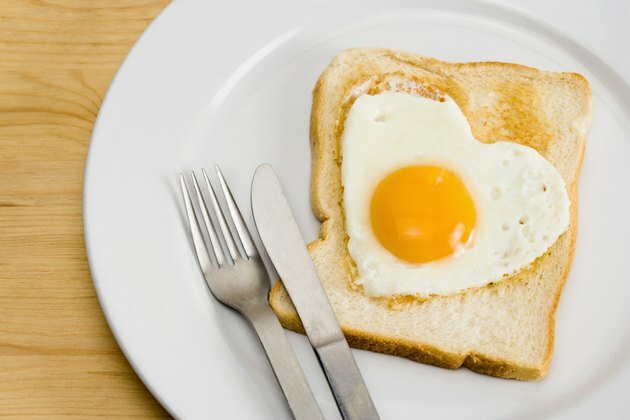 Eggs, however, are a source of protein low in purines and can be eaten in a variety of ways. Boil eggs and eat them whole as a meal or snack. You can also chop boiled eggs and make an egg salad sandwich to take for lunch. Scramble eggs and eat them with whole-wheat toast. Poach eggs in water that contains vinegar. This helps produce a poached egg that can be eaten alone or on an English muffin. Fry the egg gently in olive oil or a nonfat butter spray. You can eat the egg plain or make a fried egg sandwich. Make an omelet with the egg. Use vegetables and low-fat cheese in the omelet. You can eat it for breakfast, lunch or dinner. Try not to add salt to eggs when you cook or eat them. Use salt-free seasoning and herbs to boost flavor. Add eggs slowly to your diet. Even though they are low in purines, they are still capable of producing a gout attack.